If you’re new to boxing, don’t worry – we’re not! Zip through these few tips and you’ll be away. Your logo is your brand – it’s how your customers recognise and reach for your product. Think about how your logo will fit on the box that best suits your product and your shipping needs. 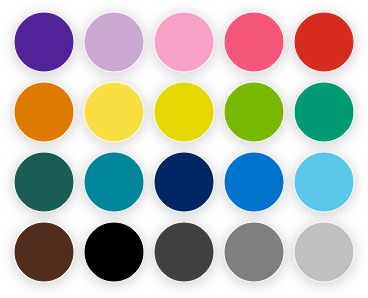 The colours you choose are also very much part of your brand identity. We have a wide range of colours and will ensure you are offered the colours that will suit your paper stock and printing process requirements. Beauty is key, but functionality is critical – the box you choose must fit your product well and suit your shipping requirements. All our boxes come flat-packed and are easily folded into shape. Some boxes fold up snug and tight without the need for tape or glue, while others can be fixed in place. Use our box picker tool to see what might suit your needs. We’ll provide any number you need – big or small. As a starter, maybe think about how many boxes you’ll need to deliver on this quarter’s orders, then adjust from there. 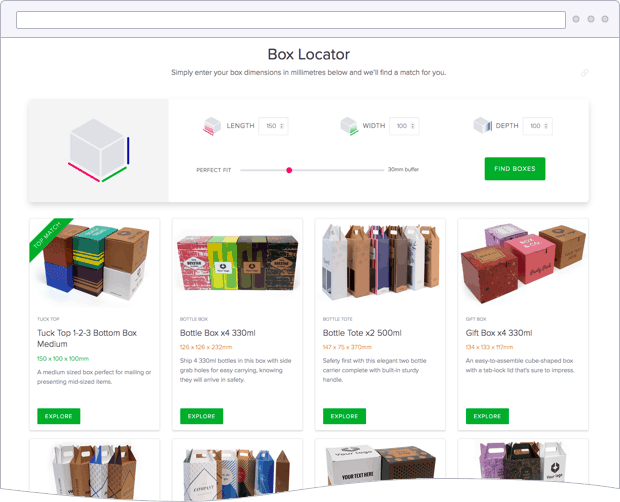 Our box locator tool is perfect when you know what you want. Simply enter your box dimensions and we’ll find a match for you. Not sure exactly which box you need? 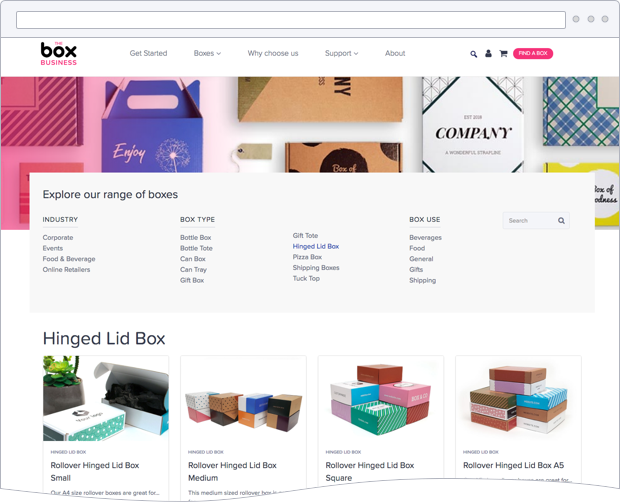 Explore all our boxes. Choose what suits you or let your imagination run. And be creative – our box names are just a suggestion, they can be used for all sorts of other things. Upload the logo or graphic you want to put on your box. We have a wide range of colours and will ensure your colours will suit your corrugated cardboard and printing process requirements, while creating a great impression on your customers. We all have fonts we love – and those we really, really don’t. We know you will find the font you love, that also works with your corrugated cardboard and printing process requirements. Make it official and click that ‘order now’ button. We’ll send you a message to say we have received your order and we are flying into action. We’ll send you another email to tell you your boxes have been created, are looking flash, and are ready fly out the door. 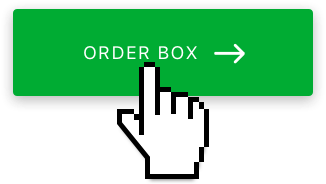 We all like to know exactly where our orders are, so we make it super easy for you to track your boxes. We use only the country’s best couriers – NZ Couriers – so it’s easy for you to follow their progress.